Is there a secret recipe to rank at the top of Google search results? The truth is every recipe is slightly different, but there are some core ingredients that you can master that will get you to the top. The first ad displayed by Google on a search results page has become even more valuable with the rise of mobile searches. A significantly larger share of traffic goes to the first ad displayed on mobile and tablets, compared to desktops. On average, 39% of clicks go to the first ad on smartphones, 36% of clicks go to the first ad on tablets and 30% of clicks go to the first ad on desktops. Even more important for digital marketers is the actual click-thru rates by ad position. The chart below shows the disparity between ad positions and CTR. Your Google Adwords account is one of the most important online marketing investments. This account should be managed by an agency or individual that has been trained and/or certified, and has time needed to manage all the complexities on a daily basis. In order to rank at the top of the Google search results you need to master their algorithm and the variables that affect it. Google’s “Quality Score” is one of the key components to optimizing your Adwords account. Although the actual quality score number that is in your Adwords account is not used in the ad quality calculations, all the components to the quality score are. Google rewards advertisers with higher quality scores and in-turn, penalizes advertisers with lower quality scores. Higher quality ads can lead to lower CPC prices and higher ad placement. You can also factor in site extensions as a wild card to improve quality scores. The user’s device should also be a consideration when constructing your PPC strategy. Make sure your website is optimized for a mobile experience and try using separate ads and landing pages specific for mobile devices. Ad relevancy. Google expects you to provide an ad that matches a consumers search terms (keyword). If the consumer’s key search term was for a specific model (and even option), display an ad that addresses that request. i.e. search term: Chevy Tahoe LTZ [in my city] with 3rd row seating. Result = Lease a new Chevy Tahoe LTZ w/3rd row seating for as low as $499/month. Expected Click-Through Rate. Google describes the ECTR as an estimate that the search term will match the keyword exactly. 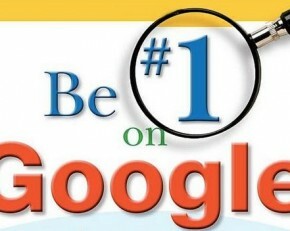 They also take into consideration how well that keyword has performed in the past and how it compares to other keywords. Landing Page Experience. This could be the most important part of the equation and most overlooked by most dealers and agencies. Landing pages should be clear, useful and relevant to the consumer’s search terms. Using the example above, if a consumer was searching for a Chevy Tahoe LTZ w/ 3rd row seating and you landed that consumer on your complete inventory listing page, or worse; your website homepage, Google would not reward you for a good landing page experience. To improve your quality score, you would need to land that consumer on the inventory page that has all the Chevy Tahoe LTZ’s w/3rd row seating. If you can master these basic “blocking and tackling” skills, then you can move onto to more advanced techniques of enhanced campaigns, bid strategies, site extensions, etc. For a complimentary evaluation and “scorecard” of your online ad presence, please email me at LARRY@MSAadvertising.com.